It's one thing to feel a terrible pressure to go to law school because your father wants you to, a pressure so strong that you have to let yourself fail out to convince him to let you choose your own career (true story - not mine); but what about the people whose parents, families, friends expect little or nothing? Or say little or nothing? Did you read Jhumpa Lahiri's article in the New Yorker about her start as a writer? How she disappointed her parents' expectations for her, and that even with all the success she's had, she has struggled to feel successful? Lahiri notes that her father never read fiction, and though her mother did, she read in Bengali, and kept her stories at a distance from her daughter. She says, “But my parents did not read to me or tell me stories; my father did not read any fiction, and the stories my mother may have loved as a young girl in Calcutta were not passed down.” So that when she became a reader and a writer, she felt she was “trespassing” and “defying” them. Guilt. Treading into territory that wasn't meant to be hers. What they most wanted for her was steady, reliable work--becoming a professor was good, assuming it would lead to steady, reliable work. So when she went into a creative writing program instead of continuing her PhD, her parents remained "neutral." A devastating neutrality, for sure. She writes, "Even after I received the Pulitzer Prize, my father reminded me that writing stories was not something to count on, and that I must always be prepared to earn my living in some other way." If this is how Jhumpa Lahiri feels, well I can just put down my peeler and leave that carrot alone. What strikes me in what she writes is how much of what she incorporated into her sense of what her parents wanted was unspoken. Simply by remaining "neutral" about creative writing, her parents sent her a loud message. Remember the 1960s PhD candidate who dropped out before writing her dissertation, despite her star status, and despite the respect of her peers? 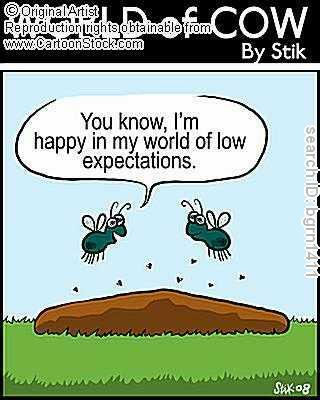 She disappointed those expectations. Consider, though, the societal expectations for a woman at that time. It’s possible to view her decision to leave her program as fulfilling a more common expectation for an educated woman then. Perhaps her parents never expected her to have a career in academia--though surely they expected her to excel in school, and supported her education all the way. So perhaps she bowed to an unexpressed expectation that spoke through silence. Trying to fulfill someone else's idea of how you should succeed is one kind of challenge. 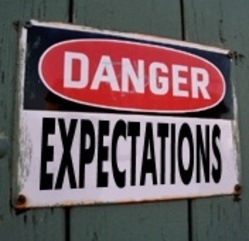 The flip side of great expectations to live up to, is none, or low. It's hard to conceive of great expectations for oneself if others don't have them for you. My own parents adopted a studied silence on most aspects of my life after college. I could rely only on my own interpretation. To me, based on our rocky relationship during my adolesence, their silence registered either disapproval, or a fear that if they spoke out one way or another, I'd likely choose the most perverse road imaginable, so they'd better not trigger me. Sort of a don’t wake the baby feeling. I've come to see that there was a sense, conveyed to me through silence and intuition, that people were just hoping I'd "make it." I call it the "poor Hope" phenomenon. Sort of a sense that my parents took a look at this damaged goods they were educating, feeding, and sending off to therapy, and every so often they lobbed an idea at it to see if it would stick, but really the idea was just to get this package up and out, and make sure it earned some kind of paycheck and wasn't a burden on society, and that was really about all you could expect from it. Other people who were more supportive or encouraging also reinforced this "poor Hope" phenomenon. Trying to be helpful, they would say, "Look how well you've done, considering." Considering the dead mother. Considering the challenging stepmother. Considering the restrained father. I always listened to this kind of talk with a mix of self-pity and irritation. Yes, I would think. Yes, yes. Poor me. I don't have a mother, I have a shrink. But on the other hand, I have food, clothing, and medical attention. I have the best education money can buy. I live in the United States. I've never experienced war. Many others have been through much worse and succeeded. Why should the traumas of my early childhood define me? What were the silent or negative expectations you faced? Which ones are you passing on to your children? I am completely enamored of your every post, Hope. Just wanted to express my appreciation of you before I get to the negative expectations. When I was a girl in the tropics, Dad saw me holding my pillow to the window air conditioner. I guess he thought I was hogging the cold air. He said, "You're the youngest; I expect you not to be stupid." He died a few months after I turned 19, just before I graduated with a bachelor's degree in Lit. In my entire life while he was alive, that was the only time he ever expressed any sort of expectation of me. For my oldest sis, he was vocal about having wanted her to be a lawyer like he was. Nothing for me except not to be stupid. Dear ol' Dad. I could look at it this way: I've exceeded his expectations wildly. As a stay-at-home mom in my 20s, trying to re-enter the job market, I found no support from my husband. He actually wondered aloud, "What else can women do but be nurses, teachers or librarians?" He was not kidding. This was in the mid-'80s—not the 1880s, the 1980s. After 20 years of making a living as a writer, I now hear him say, "Write a book, Dear, and we can retire on easy street." With my three grown daughters, I was really strict about them doing their best in school, but careerwise, they were free to figure out what they liked doing. Looking back, my emphasis had been on how they treated each other. Now that two of them are married and the youngest until recently was in a committed cohabitation, the gauge of each one's success is how happy they are in their relationships. We do talk about their work experiences, but only as afterthoughts. I think they are still feeling their way toward what their (vocational) passions in life might be. Scrollwork, Thanks for your comment. I'm beginning to realize that we writer types don't present ourselves to our parents with obvious ways for them to encourage us. After all, who wouldn't quake in fear if her child opted to go for success in writing or any art? Chances are high for failure or for success in really compromised terms. So maybe your father didn't exactly know how to encourage you? I'm trying to make it now as a professional writer - writing for corporations or consulting firms. Any suggestions on how to widen my market? Right now I have only a couple of sources for work.